Fairhurst are one of the largest engineering consultancy Partnerships in the UK and have been in business for over 100 years. reflexblue were given the brief to design and build a new website that had to reflect the new thinking and structure of the growing Partnership. The site was to incorporate the impressive history of the company as well as showcase how it has evolved into a modern multidisciplinary consultancy. 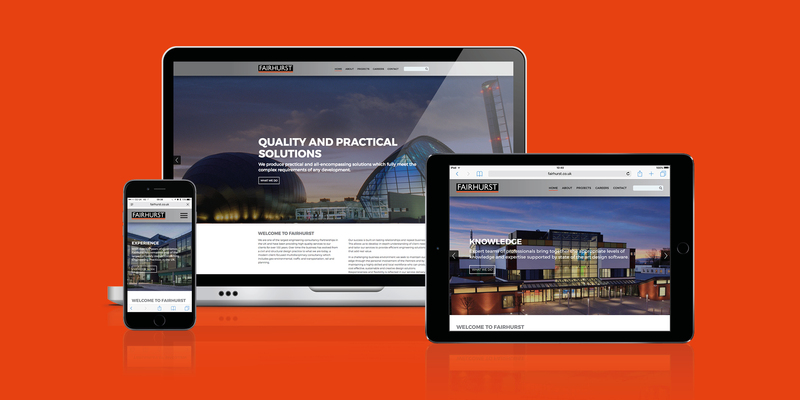 In conjunction with their internal marketing team, we produced a visually-engaging, user-friendly site which fulfils all of the key objectives and was delivered within budget. The striking imagery matched with a clear site structure makes it easy and enjoyable to navigate through Fairhurst’s expansive catalogue of work. In order to build upon this impressive new digital platform, we recently produced their first e-newsletter which covered all the company’s latest achievements and, via embedded short links, allowed interested recipients to explore the new website.